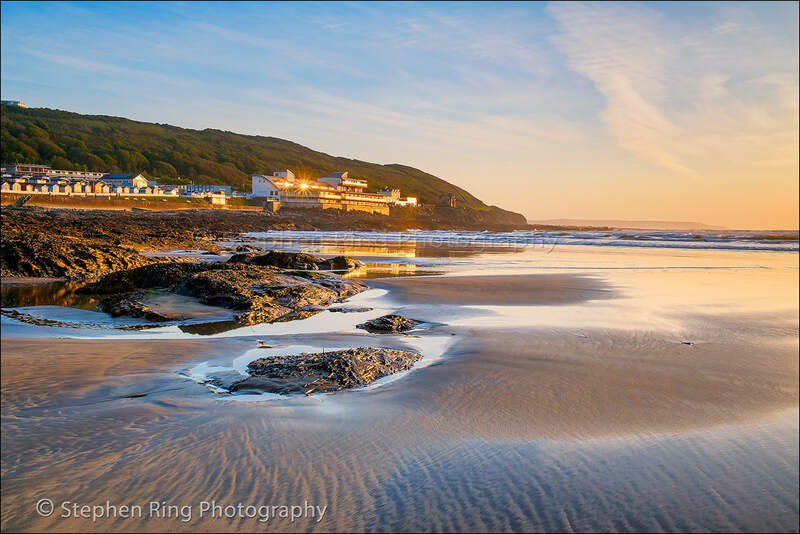 Author Charles Kingsley wrote his famous adventure story with the name of Westward Ho! And thus this quirky little village was aptly named. It is unusual in that this community is the only place in the British Isles with an exclamation mark behind its name ,but then Westward Ho! Is no usual place. forms part of the United Nations Biosphere Reserve. my imagination and heart the most. The very first day I set eyes on this imposing coastline the sky was dull and overcast and the tide was out and then as if by magic a golden light appeared. photography it has fascinated me ever since because the possibilities are endless. This glorious coastline which faces the unpredictable, brutal North Atlantic is perpetually pounded by the elements. Westward Ho! on a few occasions and you will know that it is like a continuous journey as it never appears the same twice. the different backdrops in a play, the setting is never replicated. me and I feel compelled to return regularly. This superb 2 miles of golden beach has something for everyone and is a complimentary bonus to enhance our lives. and reap the rewards of the breathtaking surroundings that nature has provided. and watch the undulating waves pushing forcefully further to shore. transfixed. The amazing rock pools full of sea life and there flections in the sand are a true phenomena. The power of the seashore renews and energizes my soul and as I listen to the symphony of the waves and the chorus of the birds singing their song. I often wait patiently, for the last light of the day to diminish and watch the sun go down and am astonished by the spectacular sunsets which adorn the skies. The majestic colours which paint the horizon ,with awe and beauty and the remarkable reflections in the sand. This is a rare moment of beauty and calmness, when day transcends into night, making way for another setting and another journey. 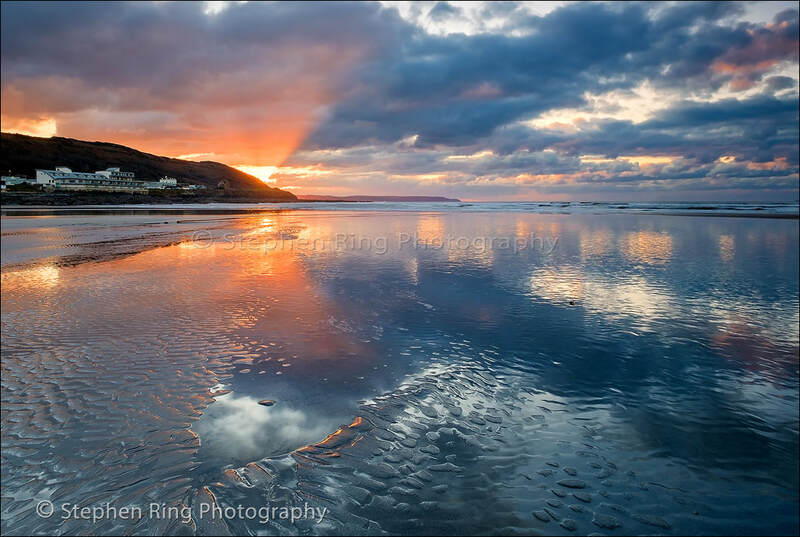 I will never get fed up of exploring this fantastic place that is called Westward Ho!